Depends on the design of the dancer, and the type of air cylinders used to load the dancer. What is better, Load cell or Dancer Control? They both have their advantages, and disadvantages. Load cell control supplies a load cell feedback signal. You always know what tension is doing. 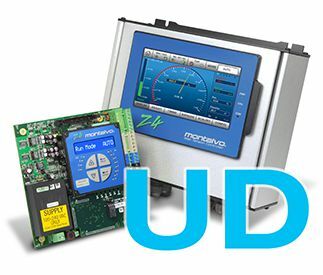 With dancer controllers you don’t, unless you use our Z4-UI Dancer Controller w/ Indication. Dancers are good for applications where you need storage to make your product. Will this controller display web tension? Can this controller be used with a linear dancer? How often do I need to calibrate the dancer position signal? How do I know if it’s my controller or machine malfunctioning? Switch your controller to manual and see if the problem persists. If it does, it’s probably your machine.